New Fighter/Tank | Medusa | Gorgon Eye - Creative Exchange - Mobile Legends: Bang Bang - Powered by Discuz! .everytime you attacking it will make 1 gorgon in your head to glow its eyes. .when there is 5 gorgon that glow its eyes then it will send a ray to all enemy in a fan shaped area. .affected enemy will be marked last for 3 second. .when they gone to far from you then they will be stunned for 1.25 second. .when you attack them while being stone then you will deal extra 35+(25% total physical damage)physical damage. .activate to jump and hit nearby enemy to deal 150/190/230/270/310/350+(100% total physical damage)physical damage and put venom on target last for 3 second. .target with venom will reduce its armor by 6/9/12/15/18/21 point. .activate to grasp on nearby enemy with your snake body for 3 second, you will be dragged wherever target's move, but target will be slowed their 75% movement speed for duration. .your attack toward target will deal extra 25/30/35/40/45/50+(25% total physical damage)physical damage and add 35/40/45/50/55/60% lifesteal to your attack. .target designated direction activate again to release target by throwing it there and deal 100/125/150/175/200/225+(50% total physical damage)physical damage and stun for 0.75 second. 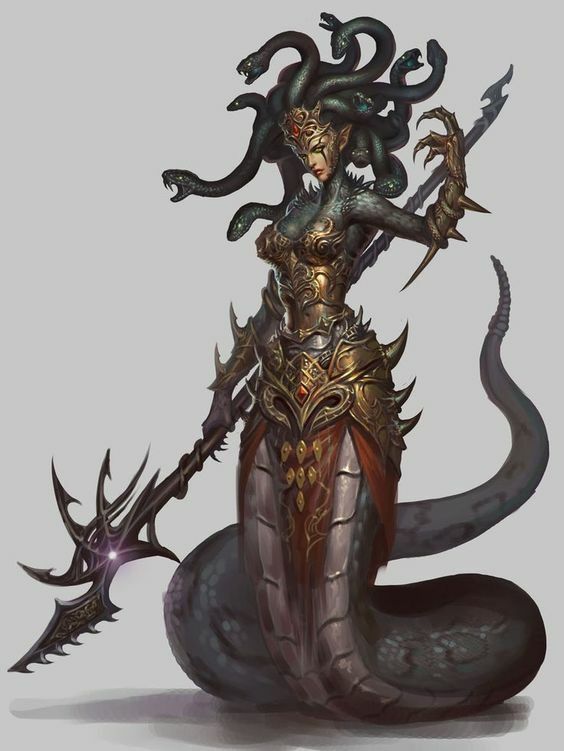 .Passive : everytime you getting attacked by enemy hero, you will make gorgon in your head to stare at yourself to get extra 15 armor but slow your 2% movement, can be stacked up to 10 times, last for 3 second. .activate to make thousand gorgons in your head change all nearby enemy and ally hero in area to become stone last for 3/4/5 second. .every 5 attack toward stoned enemy will make a crack to deal extra 200/250/300+(125% total physical damage)physical damage and change 1 stoned ally into normal. ML need to have heroes inspired from greek mythologies too. But still i really want this hero in mlbb. The game has some heroes and skins inspired by mythologies, but there are so many to explore! Another amazing hero concept. The passive is quite hard to use, but with good practice it could be deadly. About the ultimate, if you successfully crack a pertified enemy, will the closest ally get turned back to normal or a completely random ally?